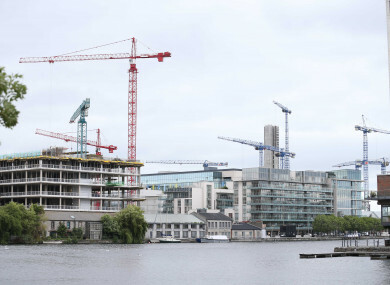 THE CENTRAL BANK’s mortgage lending restrictions are putting a stop to house price inflation in Dublin and surrounding areas, a new study has found. The third quarter report from the Real Estate Alliance (REA) found that the price of a three-bed semi in Dublin has increased by just 2.7% in the last 12 months. The rate of increase in second-hand three-bed semis in some of Dublin city’s postcode was just 0.1% over the last three months, compared to 4.1% for the same quarter last year. The REA Average House Price survey concentrates on the actual sale price of Ireland’s typical stock home, the three-bed semi. After rising by 12.5% in 2017, the average price of a second-hand semi-detached house in the capital increased by just €5,300 so far this year and now stands at €443,333. This is in contrast to south county Dublin where prices are static and have risen by just 2.4% since last September, with the average house selling for €410,000. The second-hand market has become extremely price sensitive, not just in Dublin, and when we look across the country it is the areas with quality housing stock available for under €270,000 that are achieving highest growth. The effect of the Central Bank’s borrowing rule on price ceilings is brought sharply into focus by a drop-off in viewings for four-bedroomed housing in certain areas where they are priced over €400,000, for example. Email “Annual house price growth in Dublin slows to 2.7% as average three bed semi now costs €443,333”. Feedback on “Annual house price growth in Dublin slows to 2.7% as average three bed semi now costs €443,333”.